This photo of Sergeant of the Red Army Ivan Vopilov was found in a sanitary burial near the city of Bely in 1999. 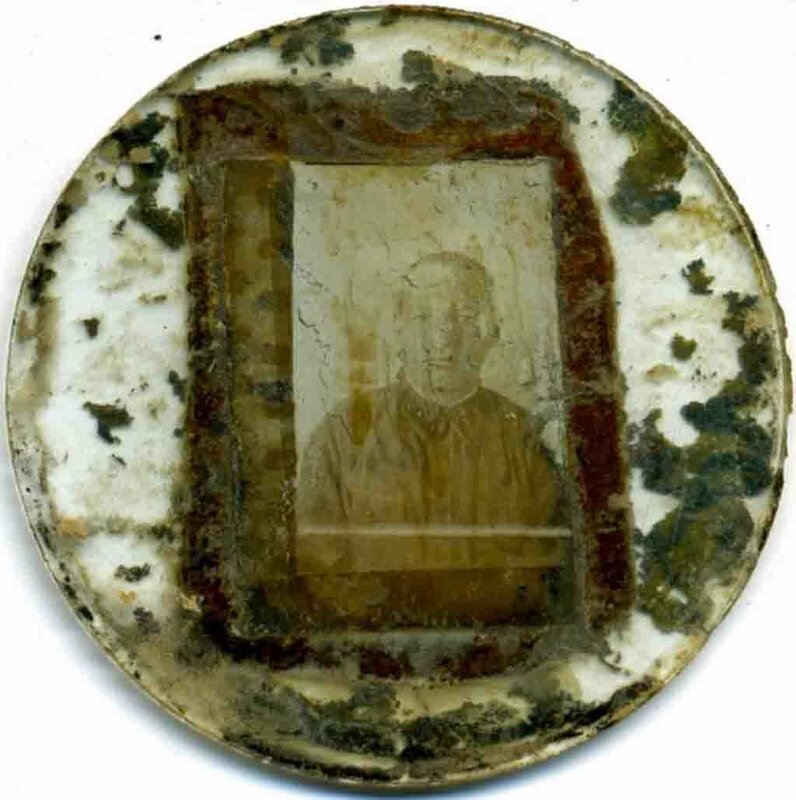 The soldier inserted his photo between two round glasses (apparently, it was a pocket mirror), and it miraculously survived. Sergeant Ivan Vopilov well understood that he could not return from the battle, so in addition to the photo, he made himself a mortal medallion – a simple note in a homemade wooden capsule. The note survived. So the name of the sergeant (judging by the buttonholes) of Ivan Alekseevich Vopilov from the Kirov region became known.